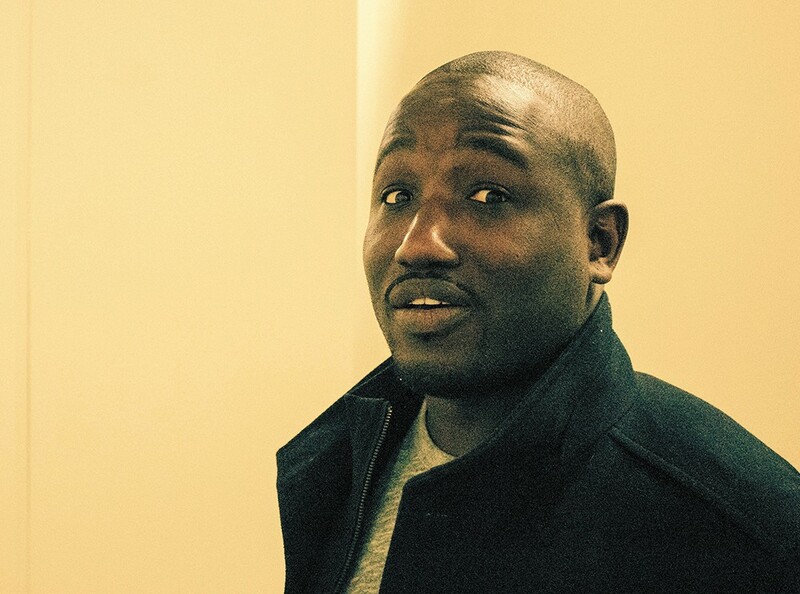 Hannibal Buress headlines the Knitting Factory on Friday. Hannibal Buress' comedy career has progressed in fits and starts that seem common in stand-up. Years of grinding out appearances at open mics and small clubs after getting his start in college led him to eventually head to New York, where one appearance on Jimmy Fallon's late-night show led the still relatively raw Buress to a writing gig for Saturday Night Live, and then 30 Rock. Dreamy, right? Except he only got one sketch on SNL, and he quit 30 Rock after six months after struggling to meld his voice with a roomful of writers. "It was weird for me," Buress says of those high-profile gigs back in 2009 and 2010. "I'm sure there's other stand-ups who've had the same experience, but with different results. There have been a lot of stand-ups who wrote for those shows, with varying levels of success. It was just something different for me." Despite the seeming setback, Buress' career has only blossomed in the years since, including a headlining tour that stops in Spokane Friday. His comedic approach is full of observances on everything from dating to video games to hip-hop, delivered in a laconic Southern-tinged drawl despite his Chicago roots. That voice has led to a steady run of voice appearances on animated shows like BoJack Horseman, Lucas Bros. Moving Co. and Bob's Burgers, while his laid-back onscreen personality led to years as the co-host (and co-writer and producer) of the surreal buffoonery of The Eric Andre Show as well as a popular role as Lincoln on Broad City. While racking up TV credits and, increasingly, feature film roles, Buress never stopped doing stand-up. He's released five comedy albums since 2010, and tours between TV and movie gigs as often as possible. His current jaunt takes him into the Inland Northwest for the first time, and the show here is at the Knitting Factory, a place better known for rock shows than stand-up, but that's nothing new for Buress. "Nobody's about to start playing bass guitar in the middle of my set or anything," Buress says of his rock-club gigs. "It's fun. There is usually a different kind of energy, maybe because the people are used to seeing music shows, so they connect it with a livelier time." Buress, far right, is one of the stars in the Spokane-inspired movie Tag. Buress brings along a DJ to spin tunes before his set; Tony Trimm is the co-host of Buress's Handsome Rambler podcast, and "he has songs and different weird YouTube videos and stuff going on" at the shows. On June 15, Buress hits the big screen in the Spokane-set comedy Tag (actually filmed in Atlanta). While he's had roles in several movies already, mostly small roles in things like The Disaster Artist and Baywatch, Tag "is my biggest role," Buress says. "My most time on camera. I'm in the movie pretty much throughout." Buress co-stars alongside Jon Hamm, Ed Helms, Jeremy Renner and Jake Johnson as a group of buddies who continue a teen game of tag throughout their adult lives. Spending months on set was a whole new experience for the comedian, and when he was able to take off to do stand-up at the FYF festival during filming, "I remember being very excited to do that gig." There's a lot of downtime on a movie set. "Sometimes it's boring, sometimes it's really fun, sometimes everybody's standing around cracking jokes," Buress says. "That's just what making a movie for a long time is. You have a day off, or you show up and shoot one thing and leave. Now I've learned that in the future if I do that type of long shoot again, I'm going to do my best to set up as much like home as I can. Just because it can get a bit dicey — three months in a place can be a long time." The future is pretty wide open for Buress. He's doing voice work for the sequel of The Secret Life of Pets for a 2019 release, and there's one more season of Broad City to come. Asked if writing or starring in a TV remake ala Will & Grace or Roseanne might interest him, Buress demurred while allowing he'd gladly watch new versions of Animaniacs or Living Single. More realistic, perhaps, is an idea he has for "some type of sports show, or sports gambling show." "My ambition is pretty accessible, and a reasonable thing I want to do, it just needs to be done is, I want to do a show where it's just me and my buddies competing with each other in Vegas, gambling on different things," Buress says. "Like The League, but real money." The original print version of this article was headlined "Handsome and Rambling"